And here's one last posting for the day from the girls soccer game last Sunday. 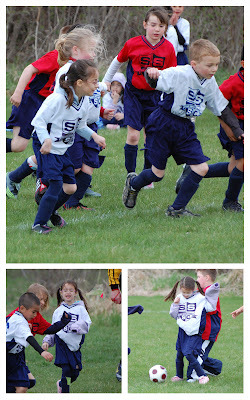 Cailey is in the larger photo on top and Mia in the bottom two. Now I'd better get ready for work!